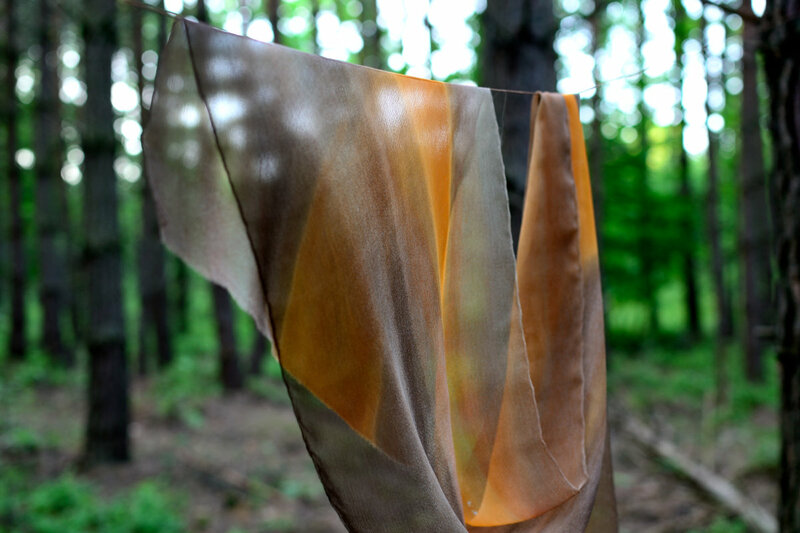 Felted accessories – especially scarves – fits in beautifully with silk. 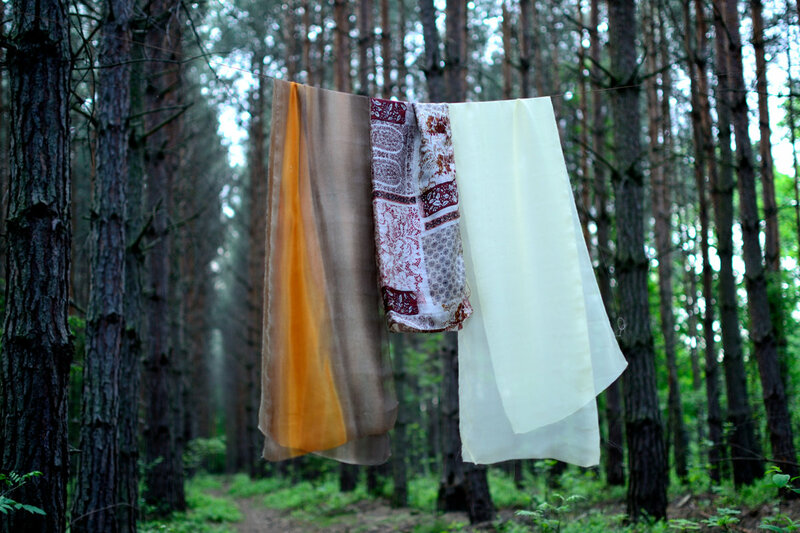 Silk fabric makes them lightweight and suitable for warm seasons like summer and spring. We use only natural chiffons and habotais. Thanks to their open weave they easily interweave with thin wool fibers. Silk chiffon is a lightweight fabric woven of a crepe yarn. It is almost transparent, perfect for an elegant evening wear. We use both smooth and crinkle one. Silk habotai is a type of silk fabric used in ancient Japan for making kimonos. 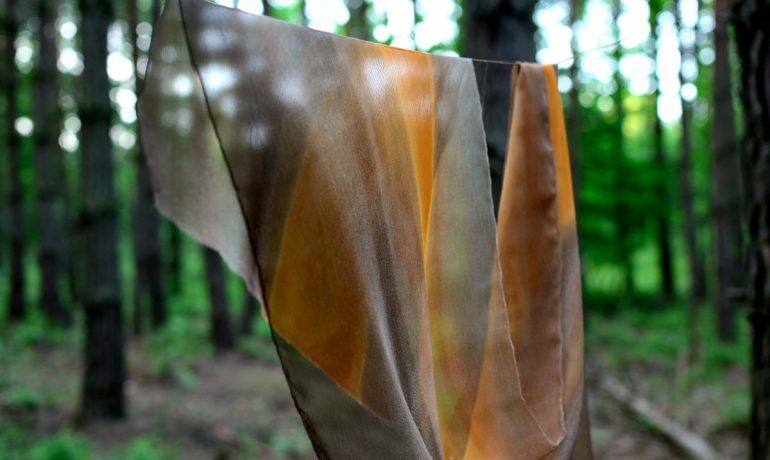 It is shimmering and easy to dye. With the variety of its patterns and shades it often allows us to cross the borders of our imagination. 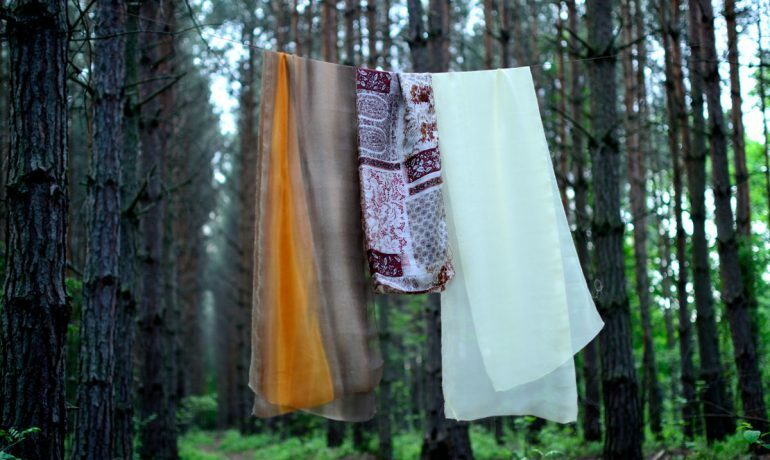 We love to work with silk, using it as a main material of kerchief, as a middle part of a scarf or just adding its scraps to our brooches or necklaces. It makes our creations more lightweight, unique and balanced. 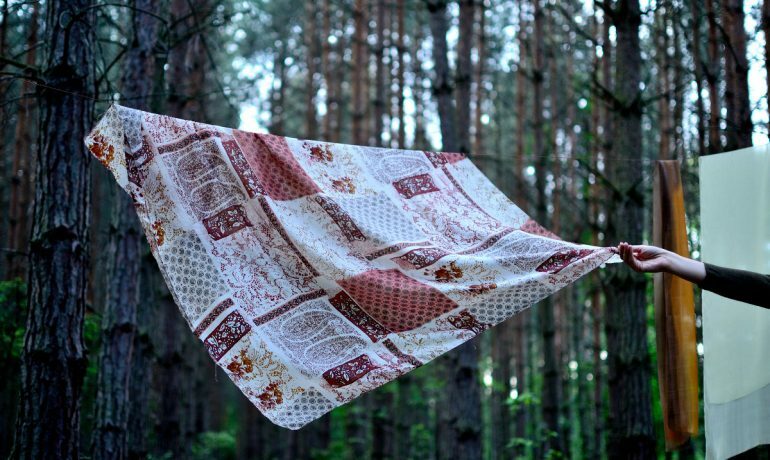 Of course, we do not find silk in the woods, but we double check each time we buy it, to make sure it really comes from nature.